Passion Filling of oil and truffle in white glaze. 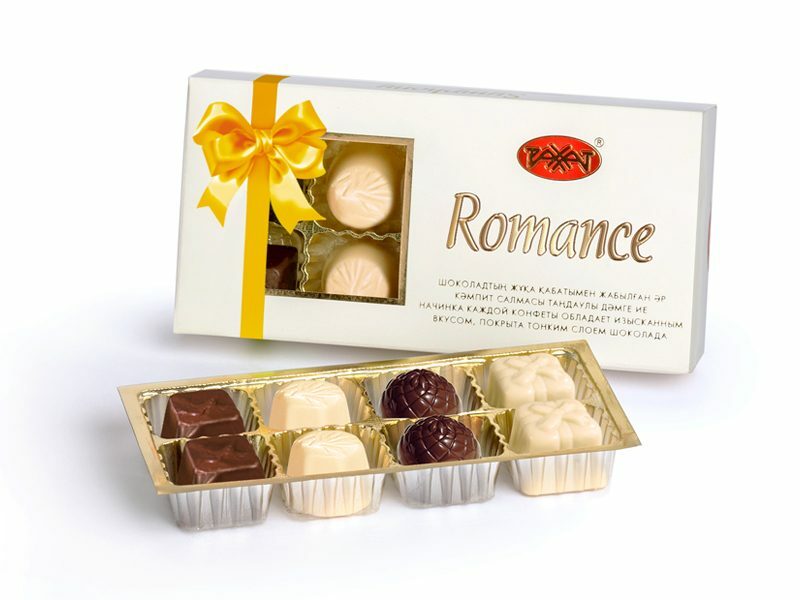 Breeze Chocolate candies with the original filling of truffle with refined aroma of vanilla and rum. Cruise Delicate filling of truffle and cream with vanilla aroma in white glaze. Style Chocolate candies with the filling made on the base of white and dark chocolates with the adding of caramel-crispy. Ingredients: sugar, vegetable fat, cocoa mass, cocoa oil, whole milk dried, dairy butter, whey solids, coconut fats, cognac, cream-caramel crispy, emulsifiers: soy lecithin, Е476, Е492; ethyl alcohol, common salt, invertase is stabilizer, aromatizers are identical to natural, vanillin is intensifier of taste and smell.